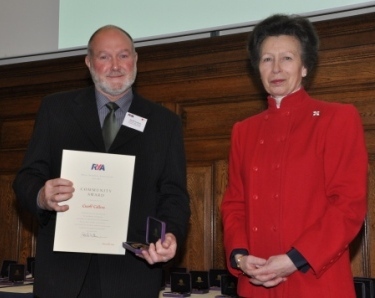 That’s right, Croydon Sailing Club’s Commodore, Geoff, was presented with one of the Royal Yachting Association’s most prestigious awards by HRH the Princess Royal, President of the RYA, in recognition of his commitment to RYA London and South East Region. In nominating Geoffrey for the award CSC said: “Geoff has been Commodore of CSC for the past 15 years. His infectious enthusiasm and determination to bring sailing to a wider audience have been the driving force for this small club. “He helped to draw up the development plan that steered the club to RYA Recognised Training Centre status in 2015. Supporting the Club Officers throughout the lengthy process, he also spent long hours preparing documentation and carrying out maintenance in the boat park to help ready the club for its inspection. “Since retiring, he has used his spare time for further maintenance and, as a proficient eBay seller, he successfully re-homes abandoned and old dinghies. “Geoff has successfully developed club initiatives to provide instruction for people wanting to learn and runs taster sessions for local residents who would otherwise never have the opportunity to sail. He has also encouraged the involvement of scouting groups, injecting new energy into the club. 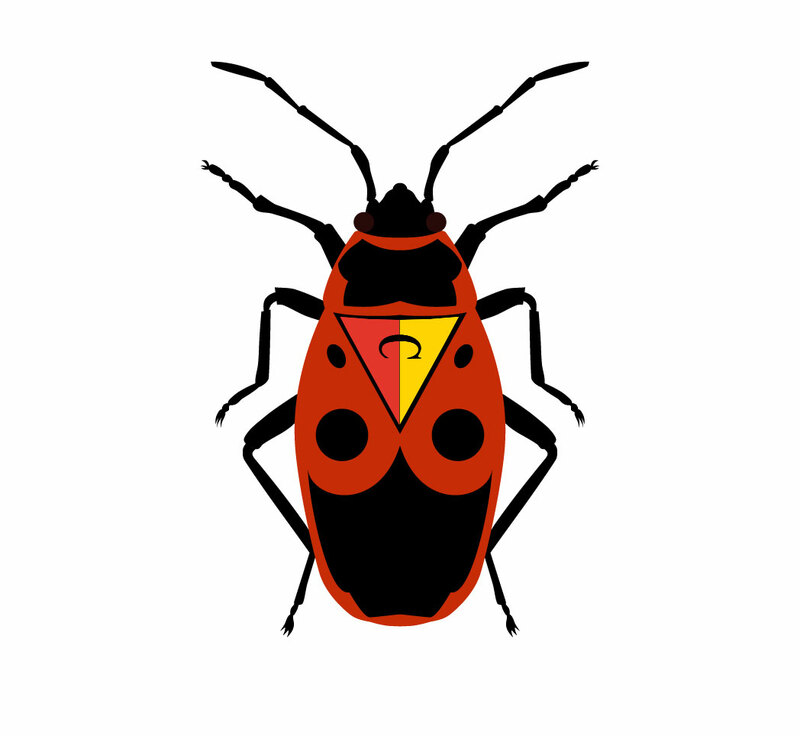 Don’t forget that this Sunday, 20 November 2016, is the re-scheduled Firebug Pursuit race! Instead of everyone starting at the same time, and then using our CY numbers to work out the race positions at the end, a pursuit sees the start time of each class of dinghy set based on its CY number (i.e. how fast it is). So, if you’re sailing a Pico or a Heron, you’ll start first, with Comets starting several minutes later and Lasers quite a few minutes after that. The winner is the person at front after 90 minutes. And, because we’re feeling generous, novice members will get an extra minute (or so) head start before we release the regulars. The CSC Race Tracker app is now available for Android smartphones on the Google Play store. 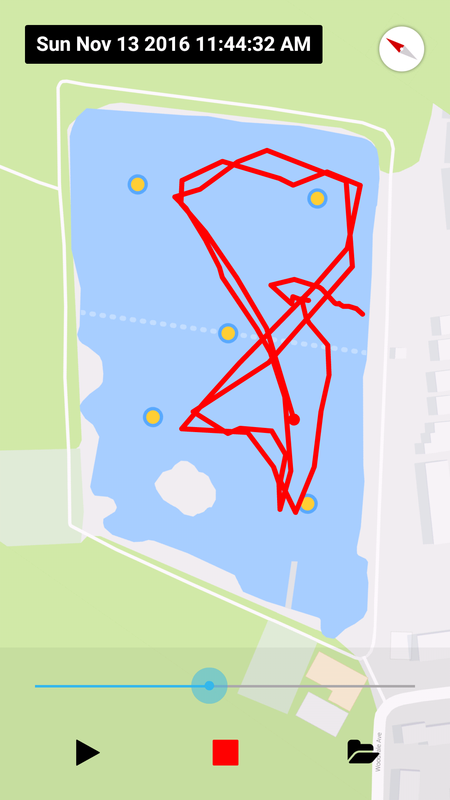 The app uses your phone’s GPS to offer simple one touch recording and playback of your activity on South Norwood Lake, so if you want to keep track of your races, work out where it all went horribly wrong (or brilliantly right) or maybe just prove that you really did go around Jetty on the third lap (no matter what other racers may claim), then this is the app for you. If members find it useful, we’re looking to add more features in the future and perhaps make it available for iPhones too, so if you have any suggestions have a chat with Neil when you see him on Sundays.